Gästehaus Eder promises a relaxing vacation in a family-style ambience amid the magical setting of St. Martin am Tennengebirge in the Salzburg mountains. Here on the sunny side of St. Martin, we offer our guests tastefully and comfortably appointed vacation apartments for your summer and winter vacation. Gästehaus Eder is located in the pearl of the Lammertal, St. Martin, perched at 1,000 metres above sea level and about 60 km south of Salzburg City. 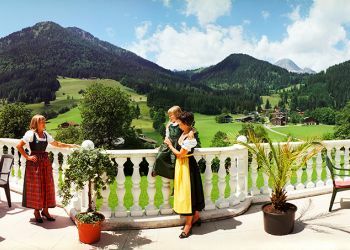 We are surrounded by the countless alpine pastures of the Tennengebirge and the Dachstein Massif, and by the biggest ski areas of the SalzburgerLand. Our house enjoys a quiet, yet central location - it is fair to say, we are in the sunniest spot anywhere in St. Martin. 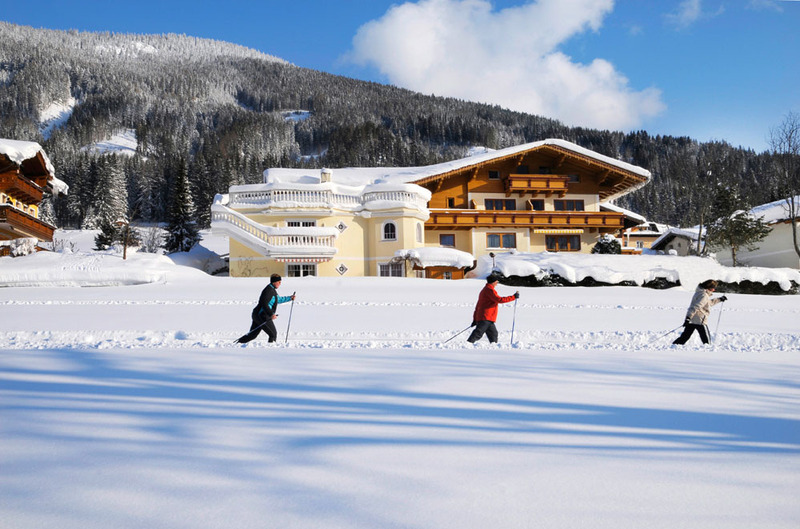 The cross-country ski trail runs past the house, while the town centre and local ski lifts are just a few minutes' walk away. In summer, you can head out without a car into our fascinating mountain world. Many attractions and sights as well as various holiday activities lure guests to St Martin am Tennengebirge during Salzburg's alpine summer. The Lammertal Valley is located directly at the foot of the Tennengebirge Mountains and is the ideal starting point for many hikes and high-alpine tours. 44 km best prepared slopes are waiting for you! From Lammertal to St. Martin and in the Neubachtal valley. 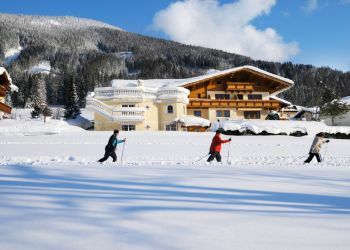 During the day in Austrias biggest ski area association (Ski Amadé) and explore pristine landscapes on cross-country skis in the evening.